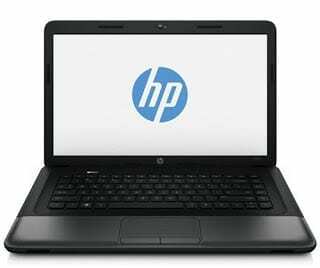 HP 655 is a well known line of low cost laptops built on AMD chips. Latest generation models now feature Windows 8 with double as much on-board RAM as Windows 7 editions. HP 655 laptops come with 15.6-inch with HD resolution powered by AMD Radeon HD Graphics. Depending on the configuration battery life can be up to 6 hours. Note: some HP 655 models come with Windows 7, so confirm installed operating system before you buy. Most of the latest editions of the HP 655 feature Windows 8 OS with 4GB DDR3 RAM, which is double what is available on Windows 7 models. A few of the cheaper models come with 2GB DDR3 RAM. They feature AMD dual-core processors (1.4GHz or 1.7GHz). Built-in HDD storage ranges from 320GB to 500GB, depending on the laptop models. HP 655 notebooks feature HDMI port, Ethernet, VGA, Wi-Fi, Bluetooth, USB 2.0 ports, and an HD webcam. Windows 8 editions of the HP 655 affordable laptops are available in Nigeria. HP 655 laptop price in Nigeria starts at around N57,000, depending on your location and the configuration of the laptop.